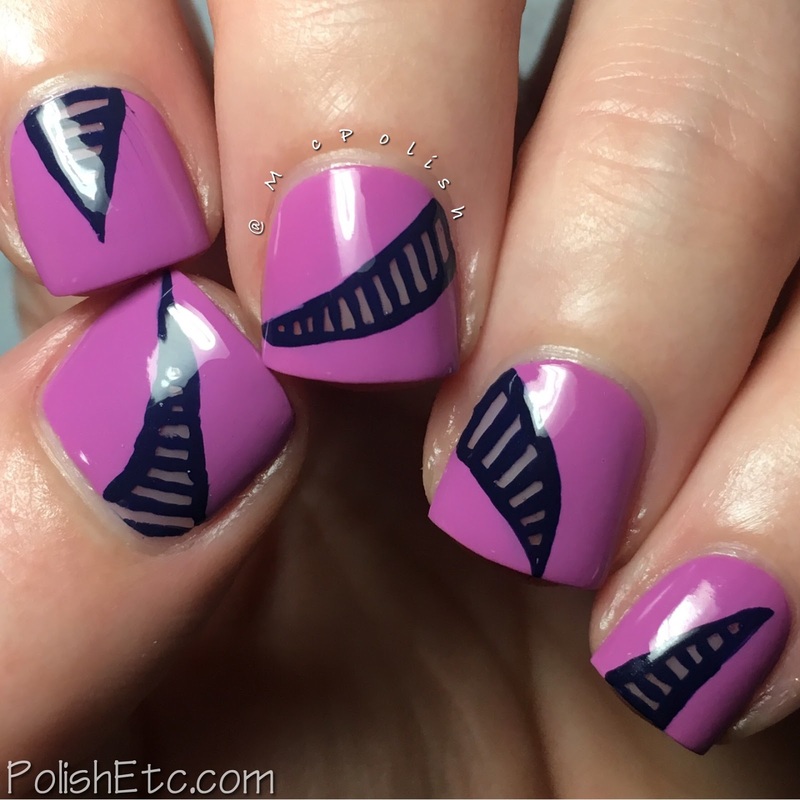 Striped Nails for the #31DC2017Weekly - Polish Etc. 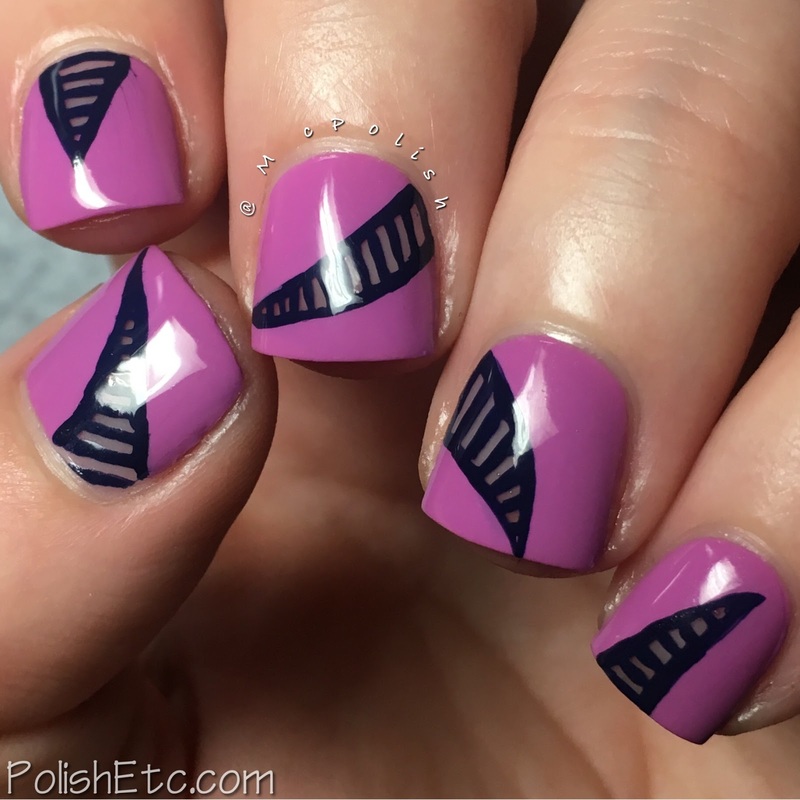 I am back on schedule with another challenge mani for you. This week, for the #31DC2017Weekly, we are doing striped nails. For some crazy reason, I decided to hand paint stripes. That is usually a bad idea because they are never perfectly straight or perfectly spaced apart. But I had this idea in my head and just went for it. Overall, I am pleased with the results. I started with a clear base coat even out my nails. The I used Zoya's "Perrie" to freehand pink/purple swoops onto my nails leave a small section unpainted. In that negative space, I used a tiny brush and Zoya's "Sailor" to paint little stripes and then outline the negative space. I tried to make them as even and uniform as possible. Once it dried, I topped the whole mani off with a glossy top coat. What do you think? I dig it. It's a little graphic and a little girly. I could see this done with lots of different color combinations. Would you try something like this? 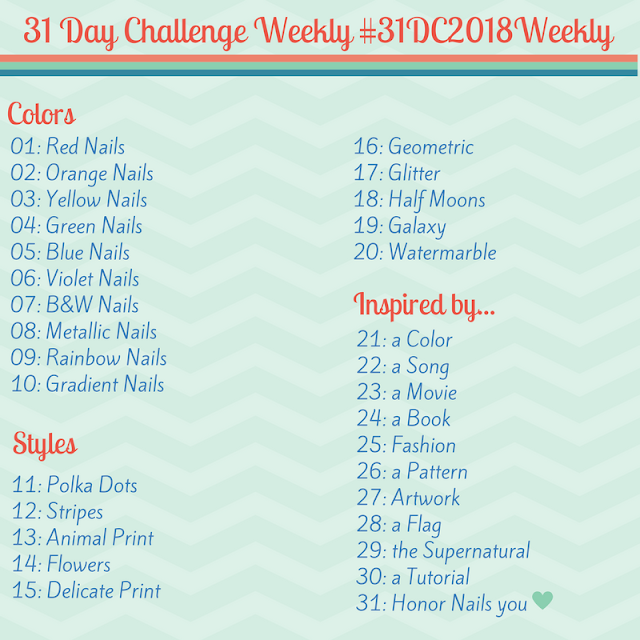 The rest of the manicures of the challenge can be found under the tag #31DC2017Weekly on Instagram, Facebook and Twitter. Lots of great manicures out there! That's so cool! :) I never could have done that. sure you could! my lines aren't even straight.